The Co-Op Gods must be smiling today! For last week's Co-Op Classics, we covered the twentieth birthday of Sega's Genesis console. You'll recall that Sega is running a poll to see which classic Genesis game will be released next on XBox Live Arcade. 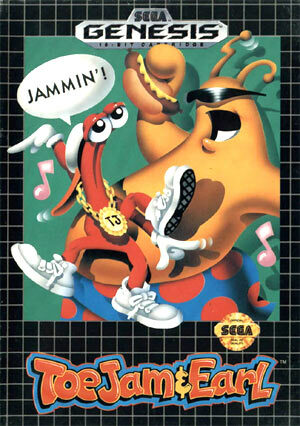 Earthworm Jim had a commanding lead, with ToeJam and Earl, a great co-op title, in a respectable second. However, due to a "licensing issue", Earthworm Jim was pulled from the poll. (Don't worry, it's still coming to XBLA.) The poll was then reset, and runs through Friday. As of this writing, ToeJam and Earl has a stellar 42% of the votes, which means we'll likely be playing it over XBLA sometime soon. Don't forget to tell us your favorite co-op title on the Genesis! It might be covered in this Friday's Co-Op Classics. Page created in 0.6737 seconds.